Albuca Laboratory characterizes in fabrication of non-invasive, scientifically sound dental materials. 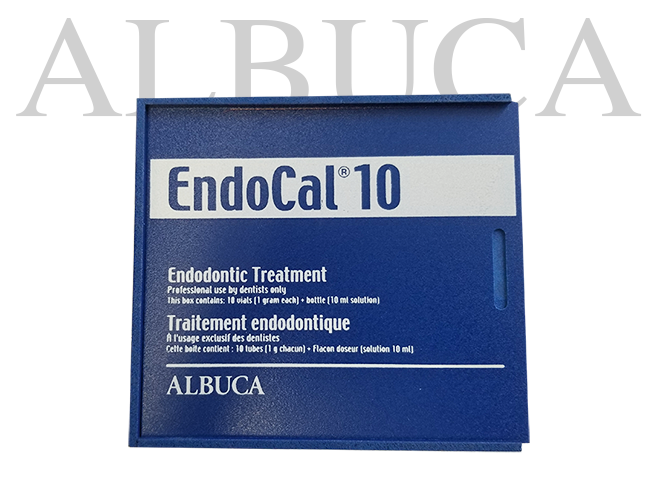 EndoCal10 Heavy calcium oxide finally allows the dentist to successfully complete the Endodontic Triad: Complete canal penetration, canal asepsis and canal (primary and secondary) obturation. 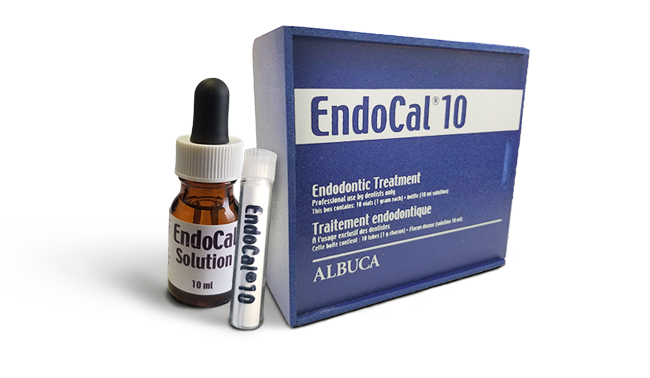 Due to its excellent hydric affinity, EndoCal10 progressively penetrates inaccessible areas, without generation of pressure. By binding necrotic tissues and stimulating the healthy tissues, EndoCal10 ensures specific internal permanent asepsis. This has earned EndoCal10 the International Academy of Oral Medecine & Toxicology (IAOMT) Quebec Holistic Dentists Association’s endorsement and recommendation for endodontic treatment. 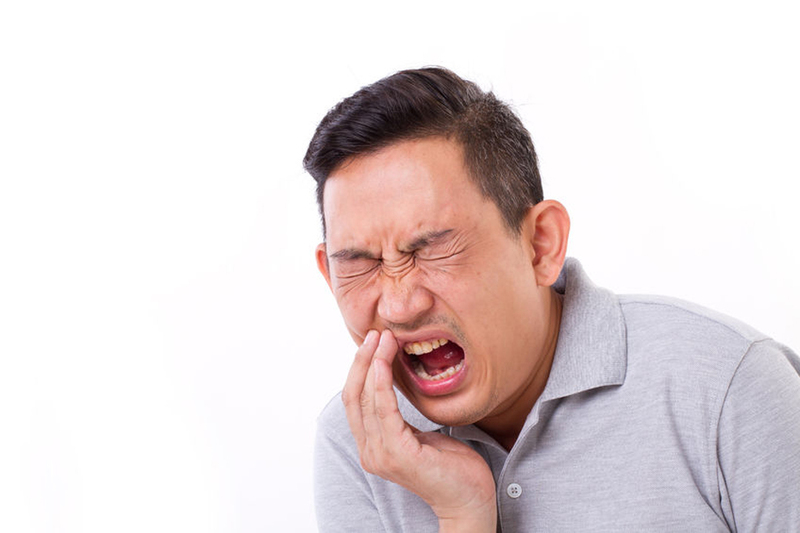 By using Heavy calcium oxide, you will prevent toxicity of the tooth at once and will be able to keep in full confidence non-vital teeth, without risks of affecting the general health of your patients. 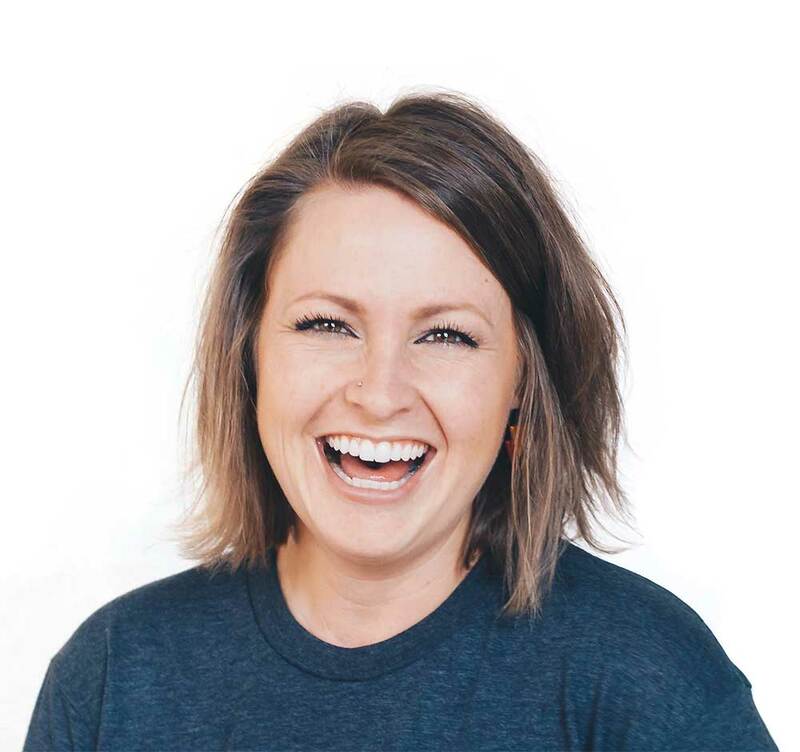 • The goal of this in vitro study was to evaluate the relative cytocompatibility of three endodontic materials: calcium hydroxyde, a calcium oxide-based compound and a zinc oxide-eugenol-based sealer. The evaluation was conducted 24, 72 and 168 hours following contact with the compounds and involved three complementary techniques : a colorimetric cytotoxicity test, scanning electron microscopy and flow cytometry. FORH Pierre (Dr) , Mechanical reaming or chemical penetration : An endodontic choice, Article, Scientifique, Le carnet du praticien, 4p.